Sangria’s reputation can be admittedly polarizing. For some, it will conjure up sour memories of an overly-sweet concoction carelessly slung together to enliven a bottle of cheap wine, its random assortment of sliced fruit bobbing like flotsam in a pitcher of liquid disillusionment. Que triste! 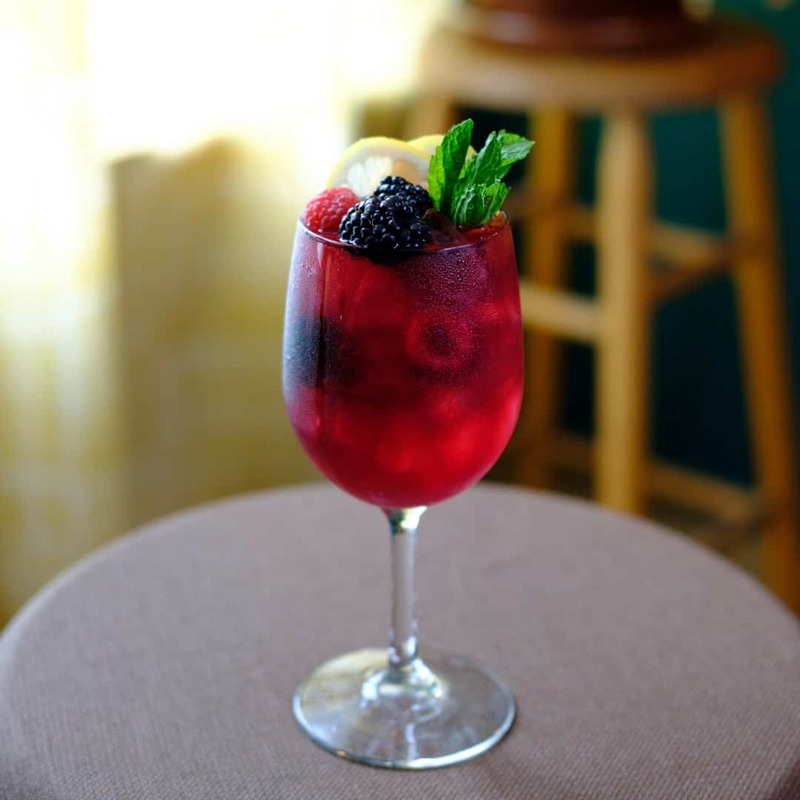 But when made thoughtfully, sangria can be a delicious and refreshing wine punch to enjoy by the glass or by the pitcher. The key is in the ingredients: they must be fresh — and especially the wine. Rather than using spirit, sweetener, citrus, liqueurs, and fruits to mask wine’s undesirable flavors, it’s important to achieve a harmony that works with the wine’s character. Dry red wines add balance to red fruits and citrus liqueurs, and sparkling red or white wines provide a pleasant crispness. But let’s be frank here: sangria is no place for expensive wine. Like an old Single-Barrel Cachaça that is best sipped on its own, a precious bottle of wine is better enjoyed unadulterated. For sangria, a good quality yet economical bottle of wine will suffice. 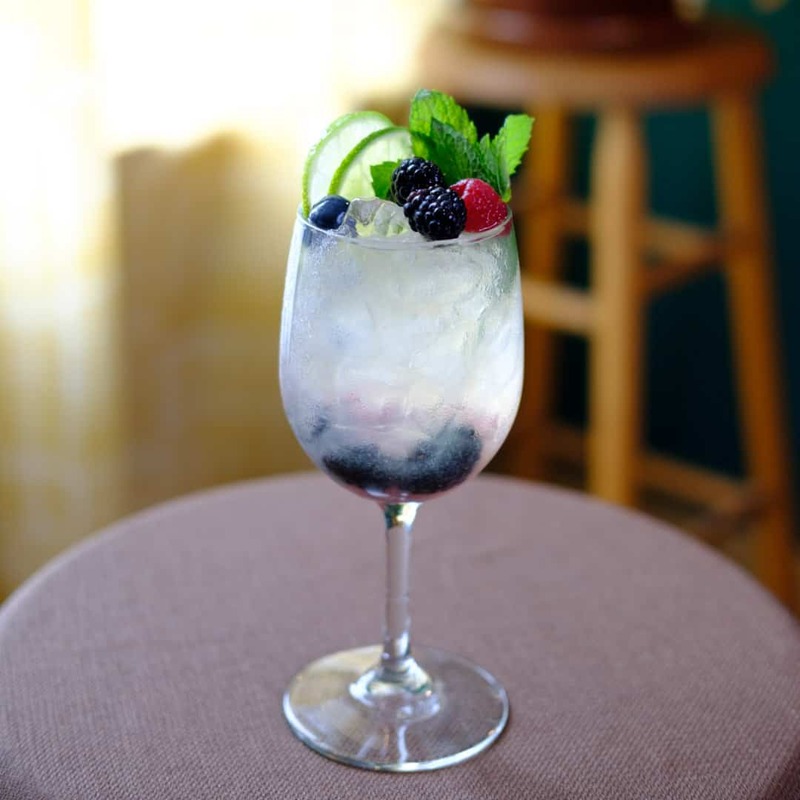 Combine all ingredients with ice and garnish with seasonal berries and fruit.